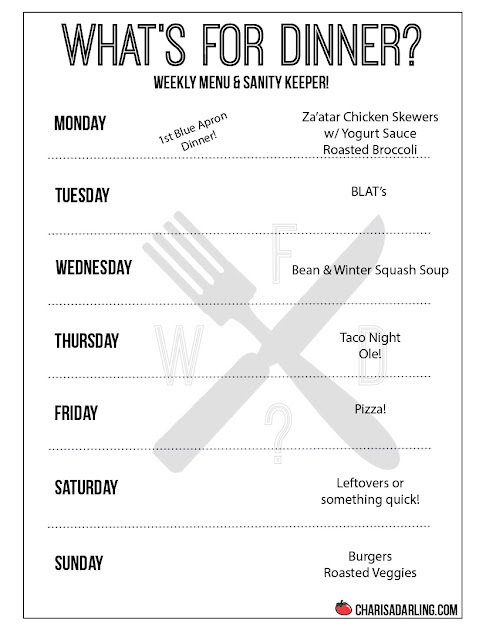 I'm excited to try out our first Blue Apron meals this week! I'll report back on how Monday's chicken skewers go! BLAT's for a busy Tuesday night. 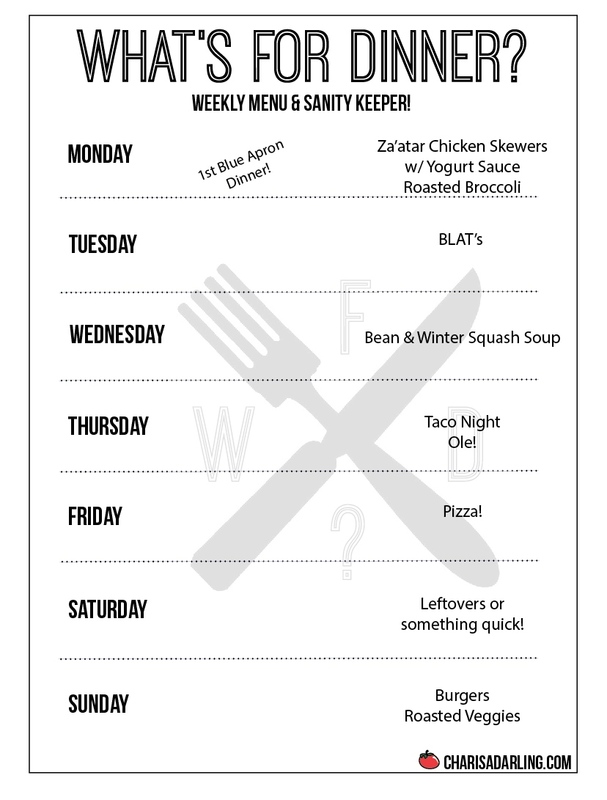 Pinto bean and squash soup on Wednesday, which is the second Blue Apron dinner for the week. Tacos on Thursday, pizza on Friday. The kids are in a talent show on Saturday, so we'll have to grab something quick before we head out the door. I'm hoping for nice weather on Sunday (and need to remember to buy more propane for the grill) so we can grill burgers (portobello mushrooms for me) on Sunday. Hope this helps with your planning! Have a great week!